You might have come across so many FTP clients. 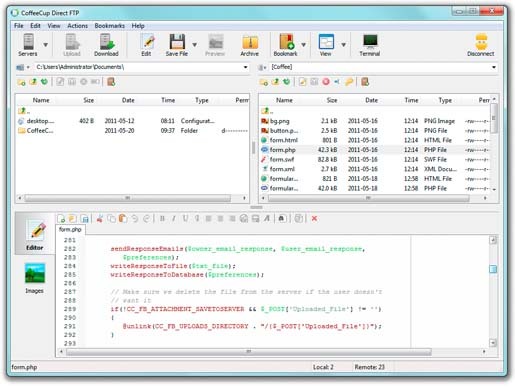 However, CoffeeCup Direct FTP is something different as it is a fast and multi-functional FTP client with a built-in Web editor. You can also back it up for your own needs. Using the simple interface of the tool, you can quickly connect to your server and preview your Webpages and images. At the same time, if you wish, you can save the data with a single click. On the other hand, the tool provides you the complete local and remote file management.